the novelist Virginia Woolf; her publisher husband Leonard; and the painters Vanessa Bell and Duncan Grant. After the Second War, Dr Andrew Booth of Birkbeck worked on computing technologies with John von Neumann's group at the Institute for Advanced Study at Princeton. 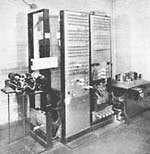 By 1952 (in parallel with von Neumann's MANIAC 1) Booth had designed and built, at the Birkbeck College Computation Laboratory, one of the world's first stored-program computers. 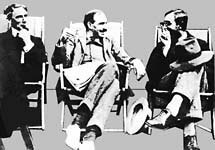 In the twenty-first century, Bloomsbury's Knowledge Lab inherits the earlier group's tradition of interdisciplinary enquiry, at the frontiers of knowledge.